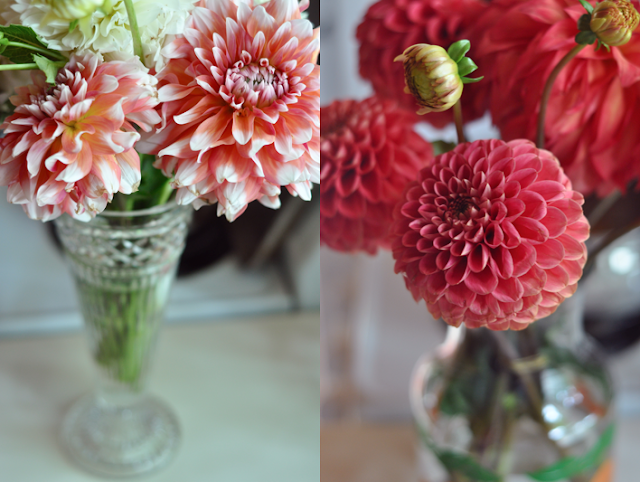 In celebration of the first day of August, I bought two bouquets of Dahlias from the farmer's market this afternoon. With summer's end nearing, I feel a sense of urgency to enjoy every last moment. 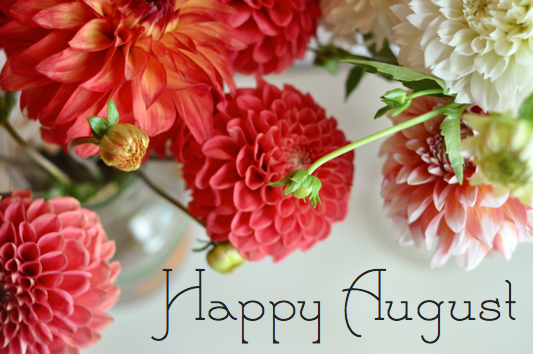 I want an August filled with road trips, outdoor activities, gardening and simply the peace of mind to enjoy the beautiful flowers we won't be seeing for another year. All content © Lady Go Lightly unless otherwise stated. You may not use without written permission. Powered by Blogger.